The Discovery Garden is filled with (mostly) native plants that are engaging year-round. Late-blooming flowers, interesting seed heads, and colorful foliage are among the garden's autumn attractions. Designed to be an educational space, this garden also contains a lot of plants with interesting ecological stories. "As you look at flowers and foliage here, you can ask yourself, Why are plants shaped this way? Why do they have that color or pattern? Do they attract insects? Repel predators?" says Jenny Blackwell, the garden’s curator. Be sure to visit soon! The stunning little flowers of this shade-loving plant look a bit like orchids. “The flower shape forces pollinators like bees to push alongside the stamens in order to get to the nectar," says Blackwell. "Upon brushing against the stamens, the bees get covered in pollen, which they carry to the next plant, ensuring fertilization." The flowers persist through October and even into November. 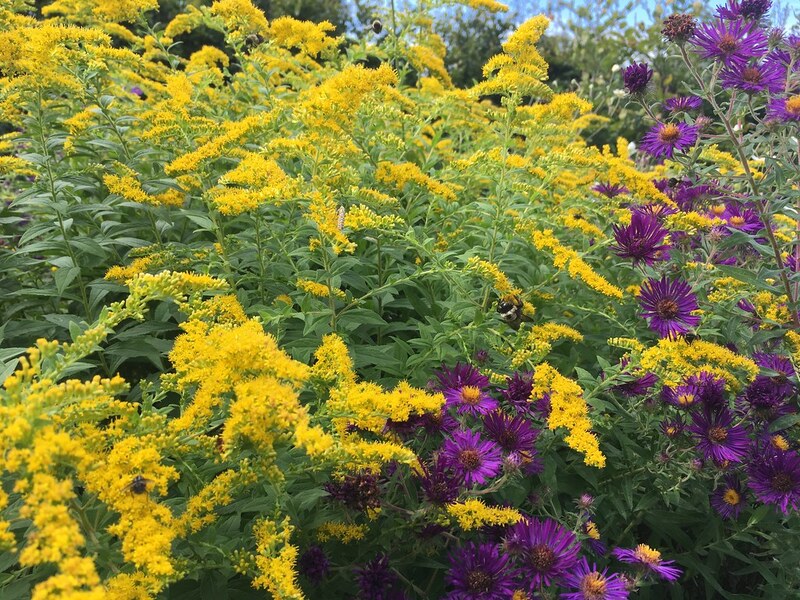 Many of the plants in the Discovery Garden are pollinator magnets, and goldenrod is especially so. 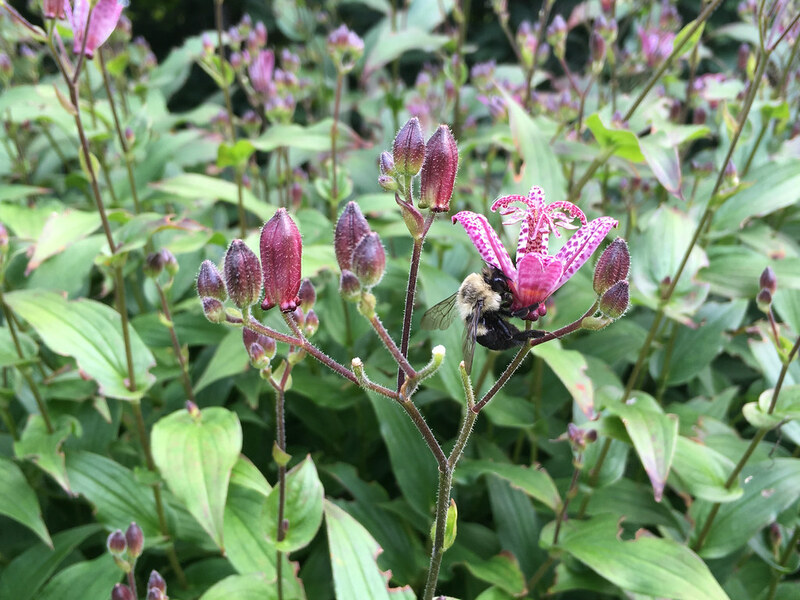 “When the sun is out, this plant is literally covered all day with insects—bees, wasps, flies, butterflies—all gathering nectar, spreading pollen, doing good work,” says Blackwell. Another pollinator magnet, asters are in bloom in late summer through fall. The cultivar above, ‘Marina Wolkonsky’, is deep purple in color, but when it self-seeds around the Discovery Garden, the next generation comes up in a wide variety of pinks and purples, says Blackwell. As you might guess, these berries persist into the winter, even though they appear in September. Early on, they are somewhat toxic to birds, but as they ripen, they become less so. By winter, they are a welcome source of food for birds like cedar waxwings. "The birds that overwinter here in Brooklyn always seem to wait through a few freeze-and-thaw cycles before they find them edible, so thankfully for us, the beautiful red berries last through the first snows," says Blackwell. One of the few nonnative plants here, this fall bloomer looks lovely among the native meadow grasses and flowers and also draws its fair share of pollinators. Milkweeds are host plants to monarch butterflies, which can be seen flitting about them in the summer. 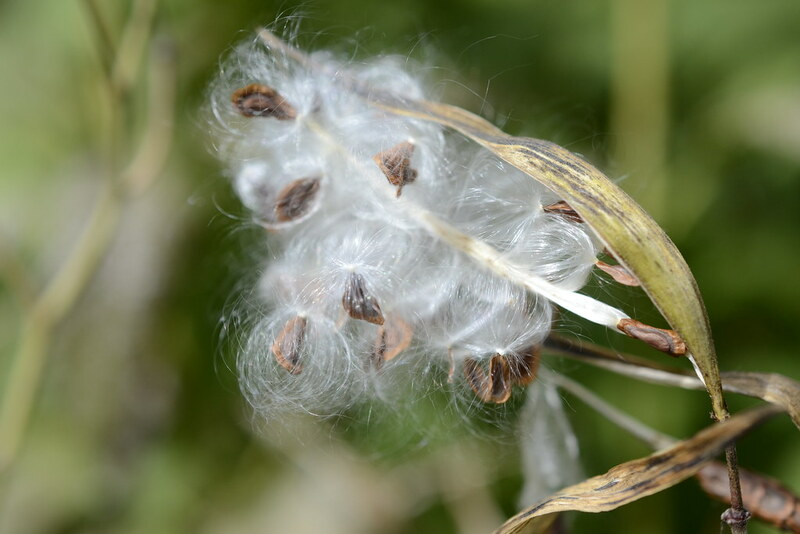 The seedpods are also filled silky filaments that help carry the seeds far from the mother plant when the wind catches them. Even after the flowers fade, the spiky seed heads of globe thistle persist, providing interesting textures in the Discovery Garden deep into the winter. A bee visits a Tricyrtis 'Sinonome' (toad-lily) in the Discovery Garden. Photo by Sarah Schmidt. Look closely. There are at least seven insects visiting this patch of rough leaved goldenrod (Solidago rugosa) in the Discovery Garden on a late September afternoon. Photo by Sarah Schmidt. 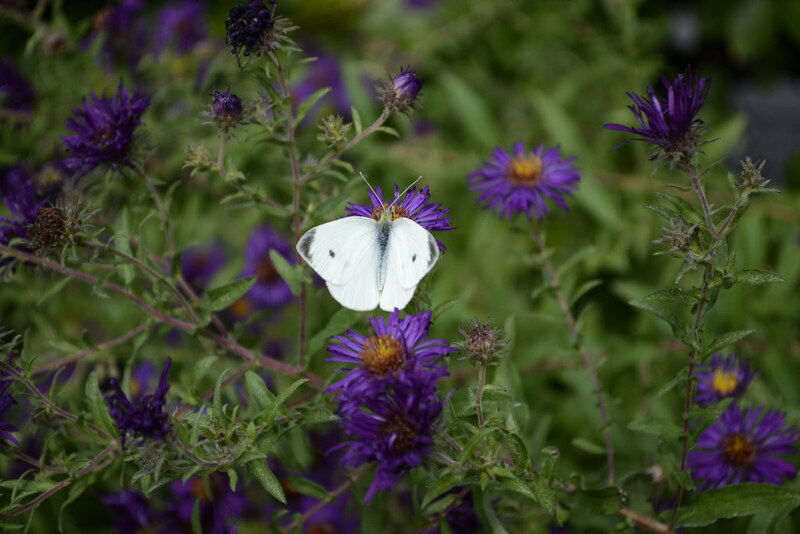 A cabbage moth visits Symphyotrichum novae-angliae 'Marina Wolkonsky' (New England aster) in the Discovery Garden. Photo by Elizabeth Peters. 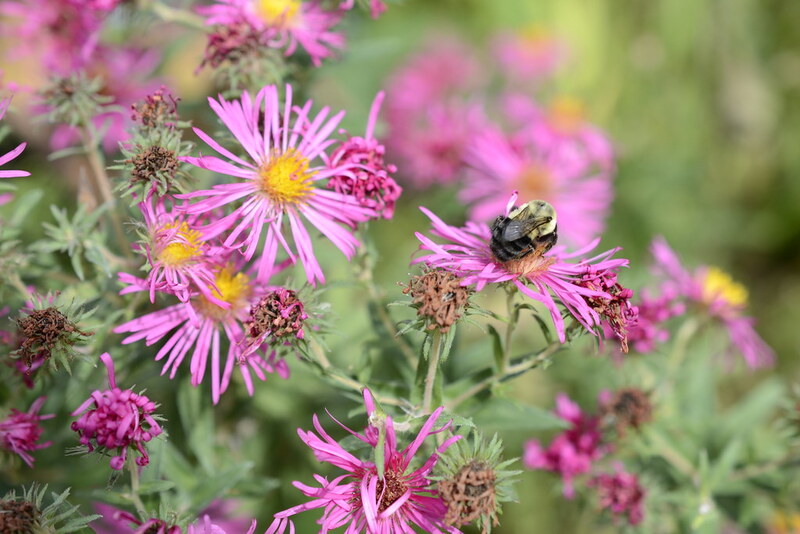 Symphyotrichum novae-angliae (New England aster) in the Discovery Garden. Photo by Elizabeth Peters. 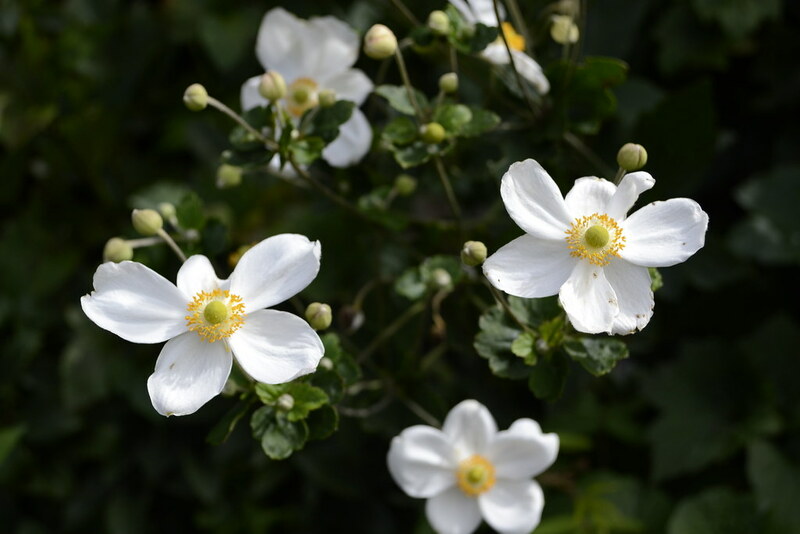 Anemone × hybrida 'Honorine Jobert' blooming in the Discovery Garden. Photo by Elizabeth Peters. 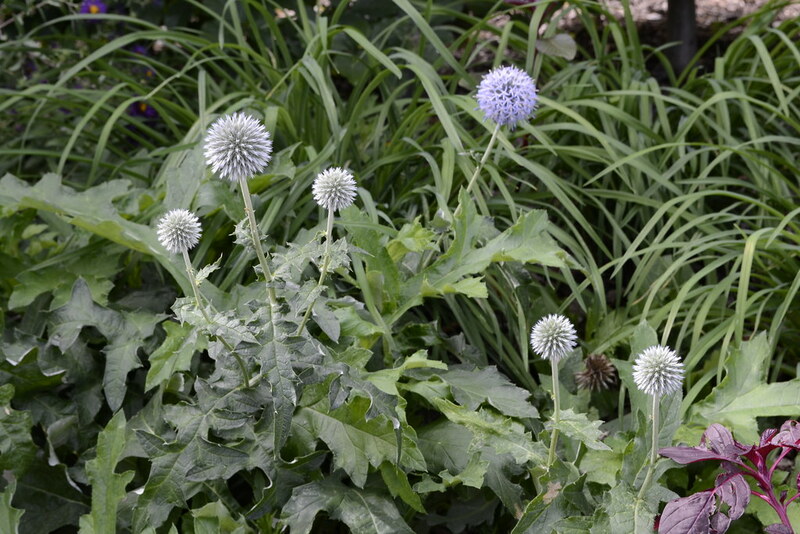 Echinops bannaticus 'Taplow Blue' (globe thistle) in the Discovery Garden. Photo by Elizabeth Peters. Asclepias incarnata (swamp milkweed) seeds in the Discovery Garden. Photo by Elizabeth Peters. 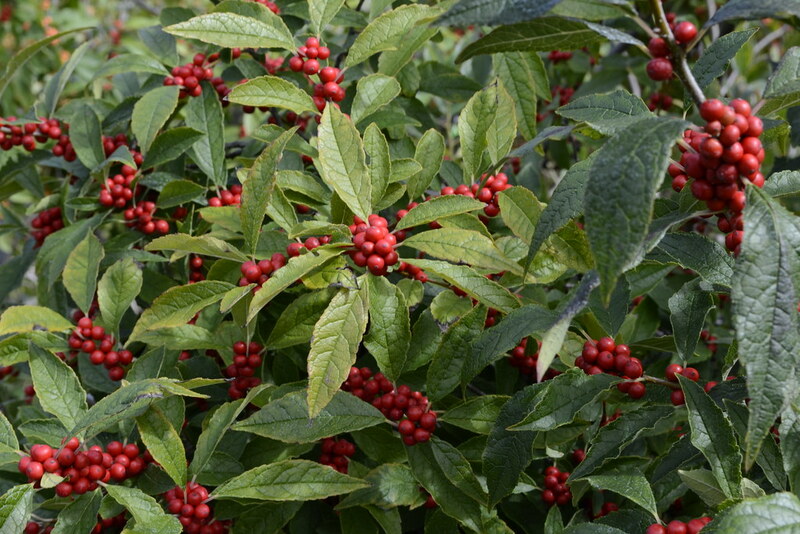 Ilex verticillata 'Winter Red' (winterberry) in the Discovery Garden. Photo by Elizabeth Peters.